Place ¾ cup sugar and pumpkin pie spice in a gallon sized Ziploc bag. Put the peaches in the bag and toss to coat. Separate the crescent rolls and wrap them around each of the sugared peaches and place them seam side down on the baking sheet (4 to a row). In a small bowl, add the remaining sugar mixture along with the remaining cup of sugar. Pour the melted butter over the top of the sugar and stir. Add a spoon full of the butter over each crescent roll and then pour a small amount of Mountain Dew over the top of each one. Bake for 20 minutes or until the crescent rolls are golden brown. 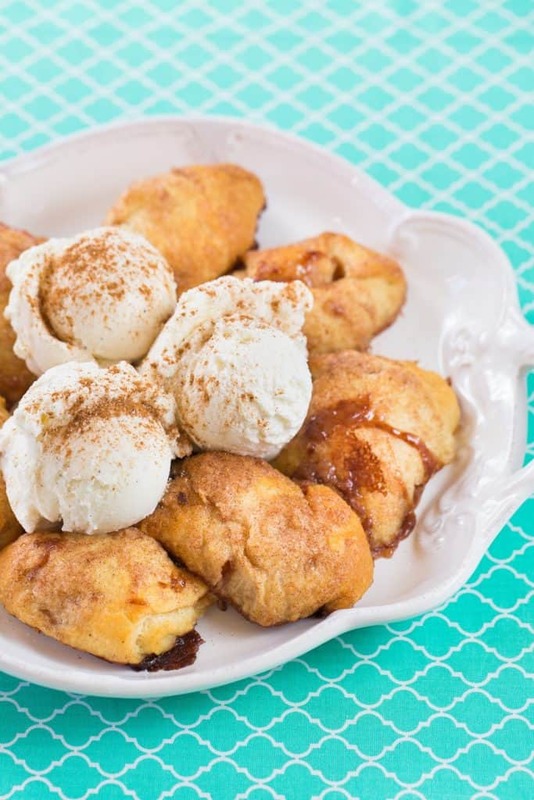 Serve with Braum’s vanilla ice cream.